I found this great little app on the F-Droid store that allows you to bring some sanity to chat. Delta Chat is essentially an email client that form-factors the text to be a chat message. 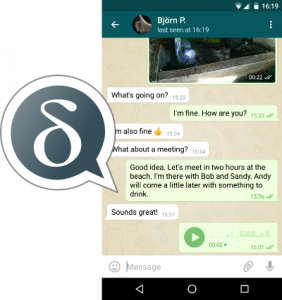 People can chat as they would using any other chat app with all messages sent to an inbox as well. You can “chat email” anyone. There is no central server (just your email server) and messages can be encrypted.